It’s clear to anyone that passes through South Orange that the village is chock-full of personality. With a bustling downtown, endless options for things to do, eclectic restaurants and beautiful buildings, it’s no surprise that the place that you now call home certainly wasn’t built in a day. That’s because South Orange dates back to at least 200 years ago, and it has 12 places listed on the State and National Historic Registers to prove it. Keep some of these places in mind next time you’re wandering through your town admiring some of these centuries-old buildings and areas. Many are just a short walk away from Third & Valley, and we’re so proud to be a part of such a historical setting. The Prospect Street Historic District, which is bounded by South Orange Avenue on the north, Tichenor Avenue on the east, Roland Avenue on the south and railroad track on the west, is where you can find quite a few beautiful, historic homes of South Orange that maintain their charm to this day. The Montrose Park Historic District is roughly bounded by South Orange Avenue, Holland Road, the City of Orange boundary and the NJ Transit railroad right-of-way. The residential neighborhood is full of architecturally imposing homes lit by Victorian gaslight and framed by manicured shrubbery. The Baird Community Center at 5 Mead Street offers arts programs, including the Pierro Gallery of South Orange and The Theater on 3, along with preschool and other educational programming. Some of its other features include tennis courts, meeting rooms and other recreational activities. 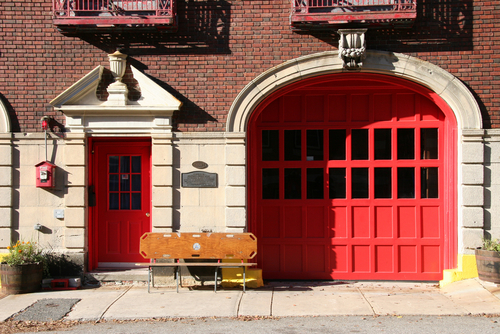 The South Orange Fire House was built in 1926 and was added to the National Register of Historic Places in 1998. Following a grand renovation and reopening, it has been restored to its original splendor.